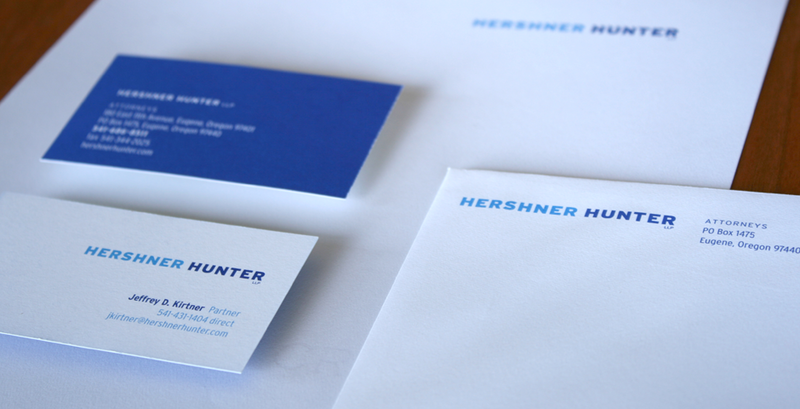 We helped the 60-year-old Eugene law offices of Hershner Hunter, LLP retool for a new generation of business owners with a briefer name and a new logo, website, and advertising; and helped them recruit new young talent in the process. 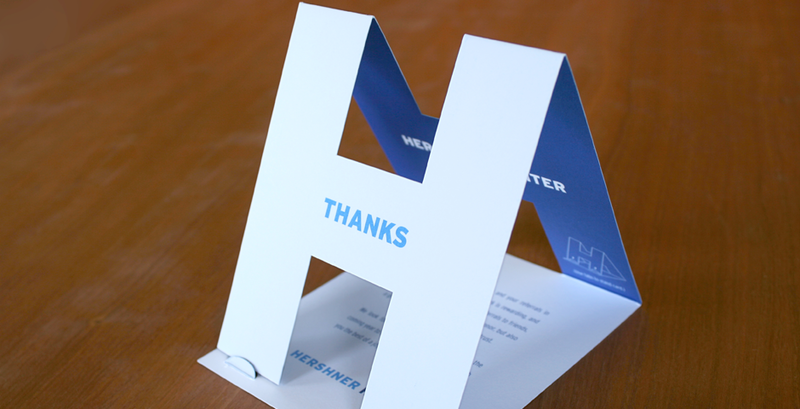 Hershner Hunter approached us on the eve of their 60th anniversary asking for help reinventing their public persona. At the time, the law firm was a typical named partnership (Hershner, Hunter, Andrews, Neill, Smith, etc.) and was struggling with a “stuffed shirt” perception as one of Eugene’s longest-standing and largest business attorney firms. They asked us to help them envision options for introducing Oregon to a new face for the firm for the coming decades. 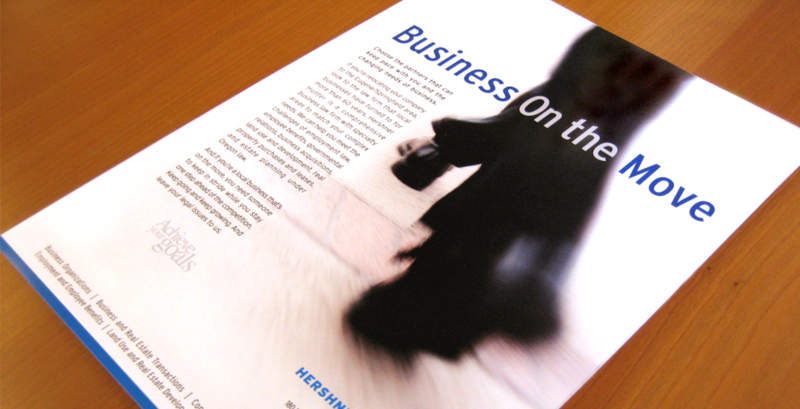 We took the firm through some strategic exercises and mined the firm’s history, values, and vision for the future. It became clear that they truly believed that their people were their greatest asset and differentiator, which became the driving force of the new brand. Our initial project became a much more extensive assessment of our core values, with results that were outstanding. Desiring timeless simplicity, we settled on a new (and permanent) brand name that honored two influential historic partners who had set a new course for the firm back in the 70s. Dropping full partners’ names off of the letterhead was a huge move, but made the firm’s brand name standardized and easily recognizable going forward, and would save the firm many hours and thousands of dollars annually in changes to stationery, business cards, forms and signs. 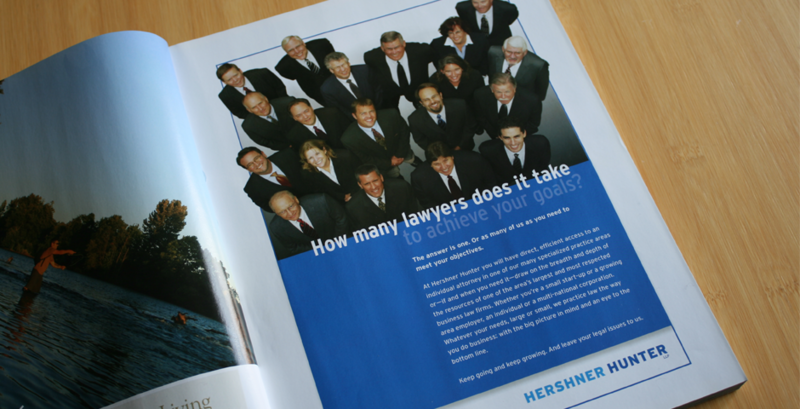 Initially, we developed an extensive set of business papers and print collateral and began a very visible and humorous advertising campaign that featured Hershner Hunter attorneys as “real people” you might want to get to know that just happened to have a passion for law. 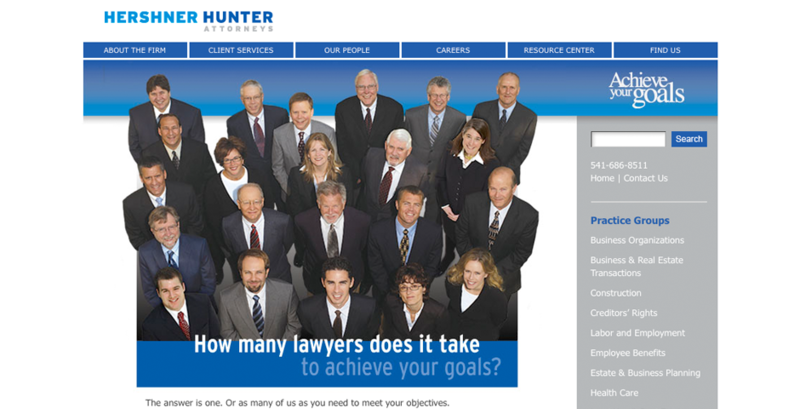 We also replaced the firm’s website with a new site that aligned to the new brand and strategy. The firm’s reintroduction to the community and enhanced visibility was very successful, but the rebranding had an added benefit that wasn’t even on the firm’s list of objectives. 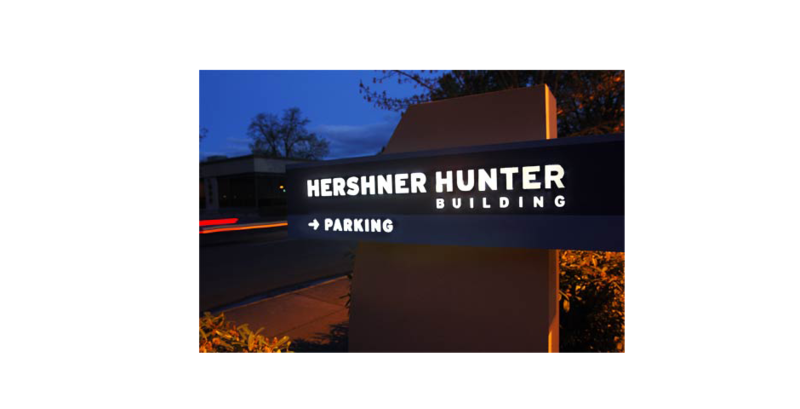 Hershner Hunter’s new personality, articulation, contemporary presentation, tone, and use of humor made attracting and recruiting great new talent much easier. 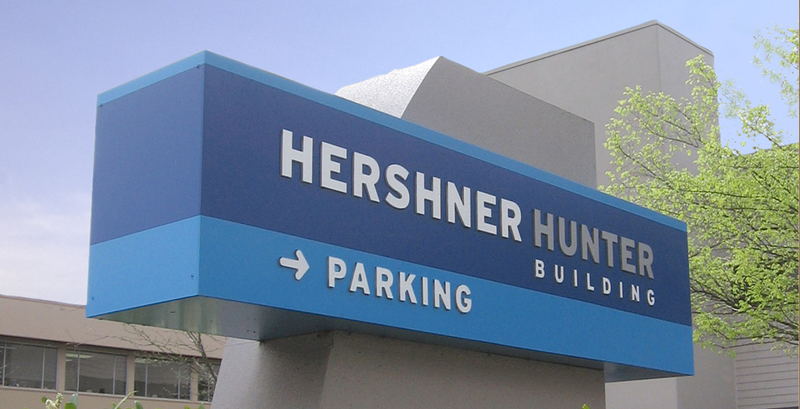 Younger attorneys found they could align easily with Hershner Hunter’s goals and attitude. According to the managing partner, this aspect alone was worth the entire rebranding investment, even if the public hadn’t taken notice.